This video reviews your options for sending data to Logentries. Sending data takes less than 5 minutes to setup with this simple tutorial. Click the “+ Add New” button in the top left corner of your screen, and then “Add a Log”. On the Add-a-Log page, choose your preferred method for sending logs. You can use an agent, token, syslog, application library or direct integration with popular partners. Follow the on-screen instructions pertaining to your upload method. Return to the main screen and select the log you created from the list on the left of your screen. 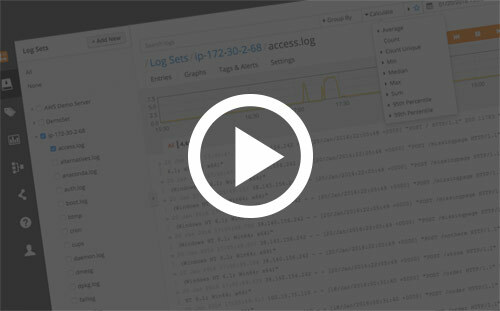 Click the “Find” button to see if logs are being streamed to your account.